Resource Centre > Uncategorized > The Myanmar Dilemma: Can the garment industry deliver decent jobs for workers in Myanmar? string(1218) "Resource Centre > Uncategorized > The Myanmar Dilemma: Can the garment industry deliver decent jobs for workers in Myanmar?" 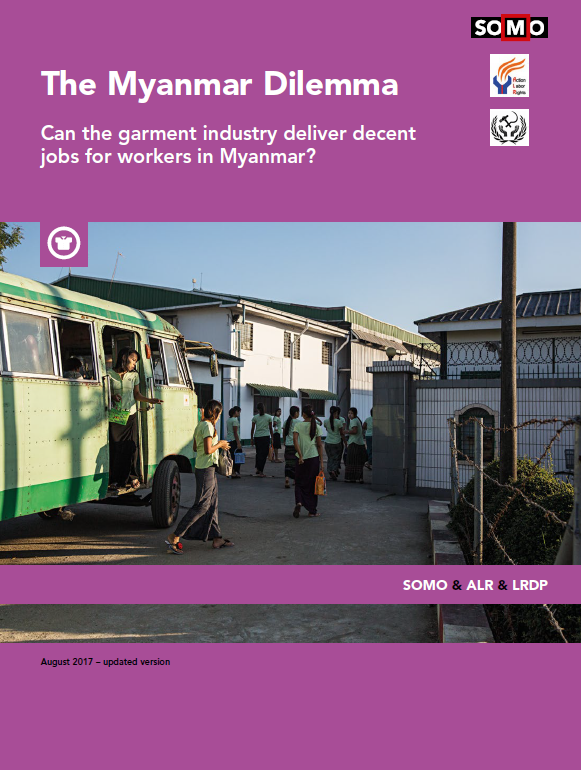 The authors aim to contribute to discussions about whether, and how, the ever-growing Western demand for cheap garments can help to create better employment and labour conditions in Myanmar. The research also looks at the efforts of multi-stakeholder initiatives – such as Fair Labor Association, Fair Wear Foundation and Ethical Trading Initiative. Overall, it finds industry and supply chain initiatives have not delivered the needed positive impact on labour conditions.